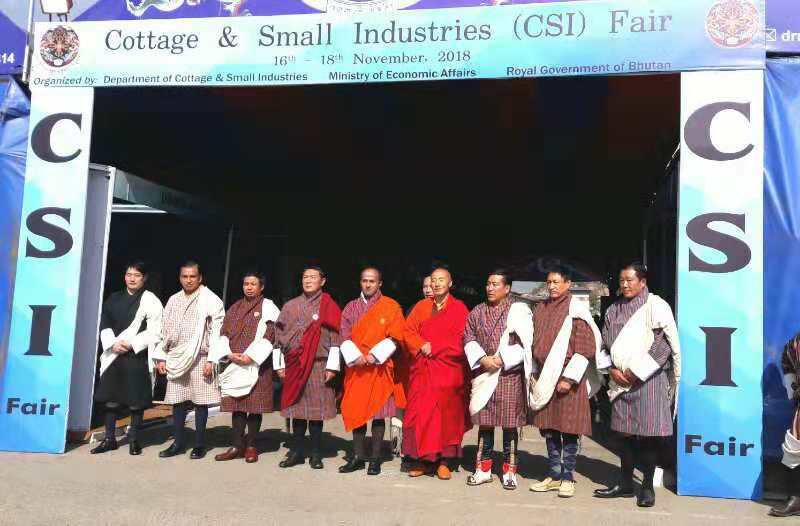 The opening of the 2nd Cottage and Small Industries (CSIs) Fair and the award function for the 6th Bhutan Enterprise Award was held on 16 November 2018 at the Changlimithang parking ground. 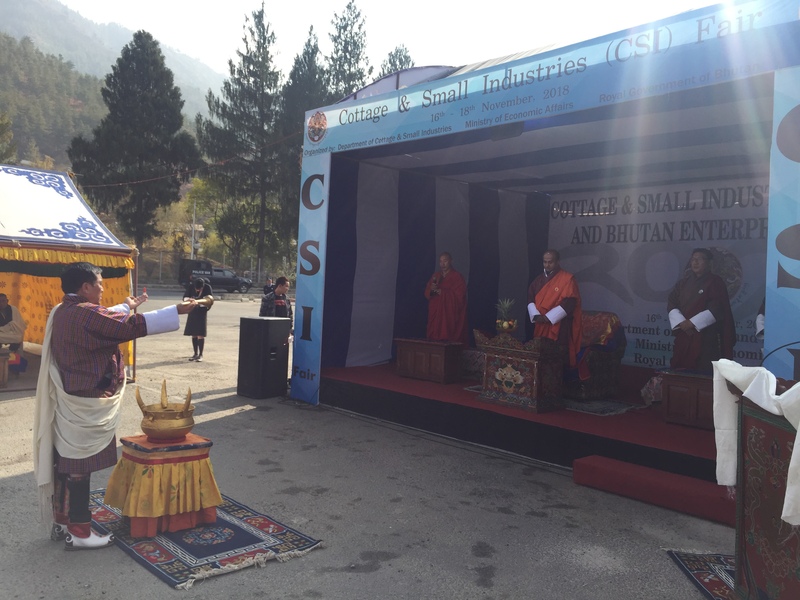 The Hon’ble Tengye Lyonpo graced the event as the ChiefGuest. The CSI fair aims to build a platform to market authentic and unique handmade local products of the entrepreneurs from all 20 Dzongkhags with no involvement of middlemen primarily to; encourage and inculcate the culture of entrepreneurship, encourage inter-business network, exchange business related information, strengthen cooperation and strike common development activities for Cottage and Small Industries. For this year, around 60+ entrepreneurs are participating from all 20 Dzongkhag – producing unique and local handcrafted products for the three-day fair. As an effort towards helping our Bhutanese entrepreneurs, stalls were provided for free. 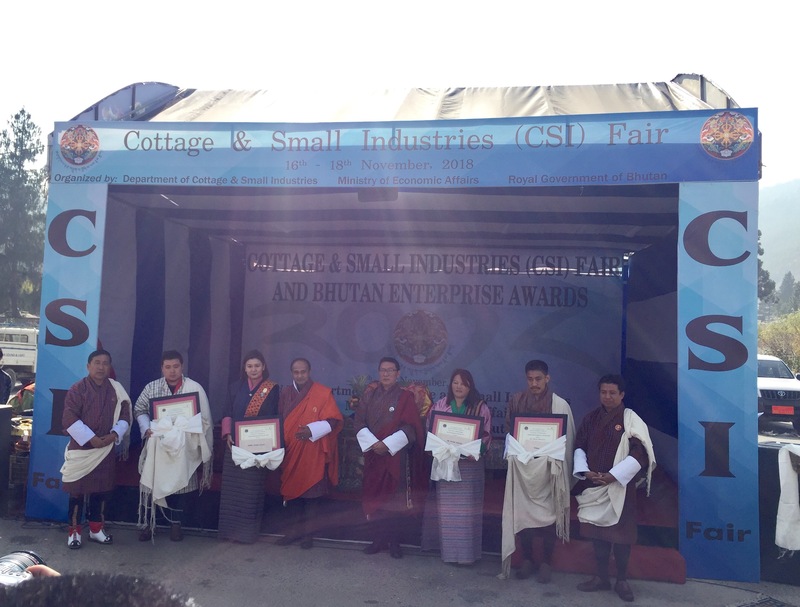 Similarly, the annual Bhutan Enterprise Award was instituted in the year 2013, mainly to reward and recognize the contribution of the cottage and small-scale industries to the socio-economic development of the nation and to create awareness and self interest in the self-employment. The winners for the BEA were selected through rigorous three-stage selection processes and using various parameters each for short-listing, field assessment and in the final selection.